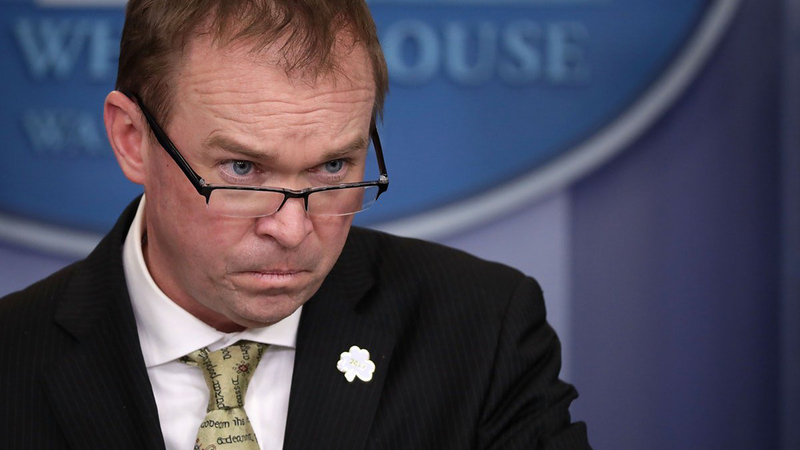 White House Office of Management and Budget Director/Acting Chief of Staff John “Mick” Mulvaney. Eighteen North American trade associations representing railroads, truckers and their customers that ship between the United States and Mexico have joined forces to tell the Trump Administration and Congress that restricting cross-border trade by either complete shutdown or slowdown, as President Trump has threatened, will have serious, highly damaging economic and social consequences. The 18 associations are the Alliance of Automobile Manufacturers; American Association of Exporters and Importers; American Automotive Policy Council; American International Automobile Dealers Association; American Short Line and Regional Railroad Association; American Trucking Associations; Association of American Railroads; Association of Global Automakers; Auto Care Association; Motor & Equipment Manufacturers Association; National Grain and Feed Association; North American Export Grain Association; Pet Food Institute; Railway Supply Institute; Society of Chemical Manufacturers & Affiliates; Specialty Equipment Market Association; The Fertilizer Institute; Truck & Engine Manufacturers. “The undersigned associations representing the agricultural sector, the auto industry, chemical manufacturers, the freight rail industry and the trucking industry write to express serious concerns with any new burdens that would slowdown or delay the movement of commercial goods across the U.S.-Mexico border. We strongly agree that a secure border is critical to our national security. However, we firmly believe that our nation can secure our borders without impeding the free flow of two-way commerce. As the Administration continues efforts to protect and secure our nation’s borders, all cross-border freight traffic, whether by truck or rail, must be allowed to flow unimpeded. “We appreciate the Administration’s efforts to modernize U.S. trade agreements, including the recently negotiated United States-Mexico-Canada Agreement. Lowering trade barriers and improving market access for U.S. exports will help grow the U.S. economy and strengthen our competitiveness in the global market. However, a partial or full closure of the U.S.-Mexico border will undermine any potential success that may be achieved through this new agreement. “Closing or limiting the free flow of goods on the U.S.-Mexican border will inflict significant harm to our nation’s economy and the millions of American jobs that depend on cross-border trade. 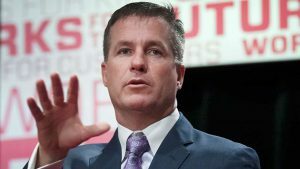 For instance, the auto sector – and the 10 million jobs it supports – relies upon the North American supply chain and cross-border commerce to remain globally competitive and a forced shutdown of auto assembly plants due to a border closure would cost the auto industry billions of dollars per day. “Further, North American trade supports 50,000 agriculture jobs and $13 billion in gross domestic product, and Mexico is America’s second largest export market for food and agriculture products. Additionally, Mexico is the top export market for U.S. manufactured chemicals – resulting in $543 million worth of chemical products crossing the U.S.-Mexico border every week. 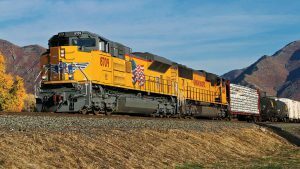 “For the companies responsible for transporting these goods, more than 42 percent of carloads and intermodal moved by America’s freight railroads are directly related to international trade, which in turn supports 50,000 well-paying railroad jobs. Just to haul freight to and from Mexico, the American trucking industry employs more than 31,000 truck drivers and more than 47,000 workers, generating $6.6 billion in revenue last year. “Unfortunately, any disruption to the flow of commerce resulting from the full or partial closure of our border would have a cascading effect – harming U.S. consumers, threatening American jobs and investment, and curtailing the economic progress that the Administration has worked to reignite. The Commerce Department estimates that $502 billion in goods—about $1.4 billion each day—crossed the U.S.-Mexico border through trucks and trains last year. “We particularly caution against any reallocation of resources away from commercial ports of entry that would slow cross-border traffic. As we learned from the nine-month labor dispute in 2014-2015 that crippled shipments at 29 West Coast ports and cost the economy upwards of $2.5 billion per day, even short-term disruptions have long-term consequences. Even more devastating, the 11-day shutdown of port operations in 2002 had an estimated $15.6 billion cumulative effect on the entire U.S supply chain, with some freight migrating away from the West Coast permanently. The North American Free Trade Agreement (NAFTA), established more than 20 years ago, modernized trade among the United States, Canada and Mexico and proved beneficial to transportation companies. Trump has sought to scrap or modify what he has called “a bad deal” for the U.S. economy. 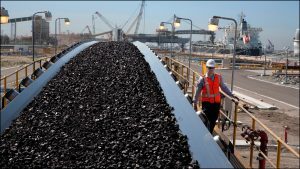 There is a proposed replacement for NAFTA called the U.S.-Mexico-Canada Agreement (USMCA), which the rail industry largely supports.